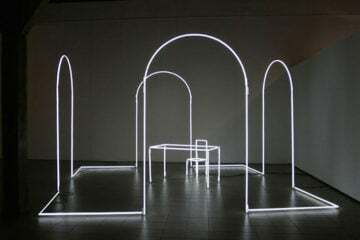 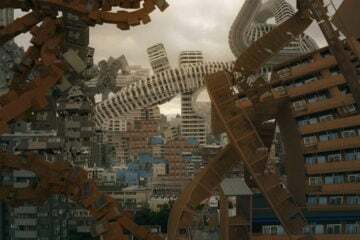 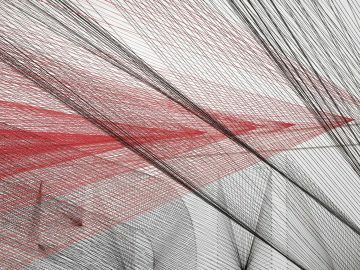 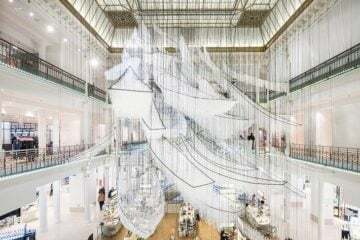 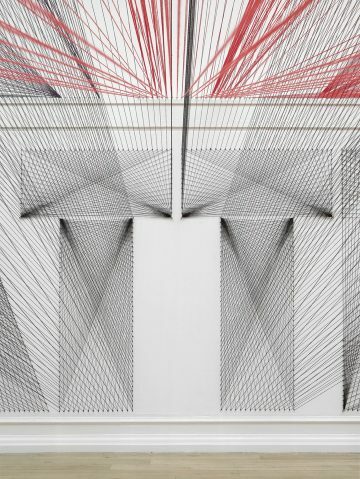 Los Angeles-based artist Pae White merges art, design, craft and architecture through site-specific installations and individual works which defy our expectations of a variety of techniques and media. 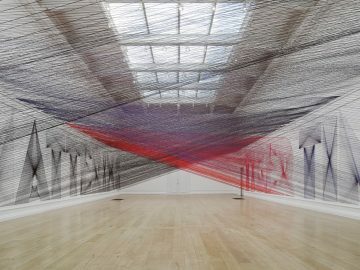 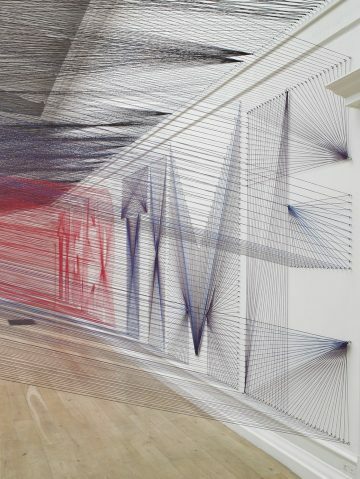 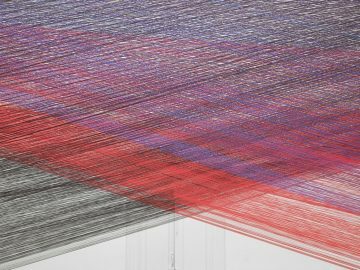 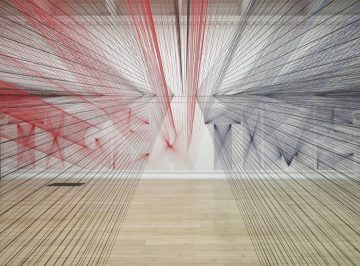 For her South London Gallery exhibition she creates a mesmerising installation in which vast quantities of black, red, blue and purple yarn span and criss-cross the room to form a dense cloud of darkness which struggles to exist within the ethereality of the space. 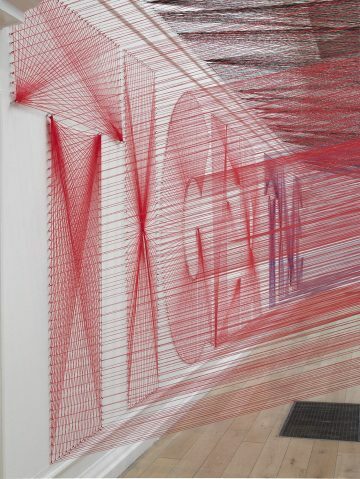 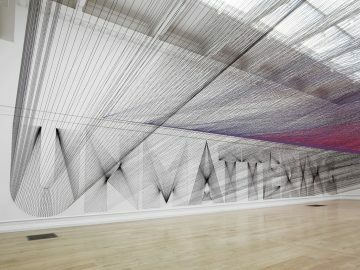 As visitors make their way into the work beneath the mesh of threads, supergraphics spelling out the words TIGER TIME and UNMATTERING gradually emerge and dissolve depending on both the viewer’s physical relationship to them and the relative weight of the overall aesthetic experience. 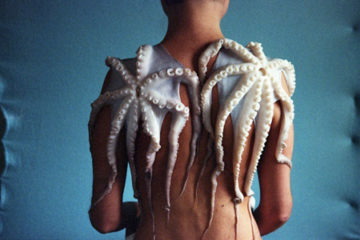 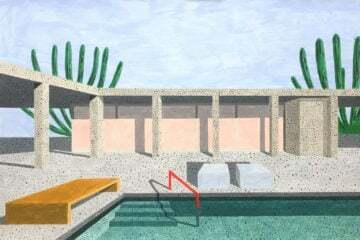 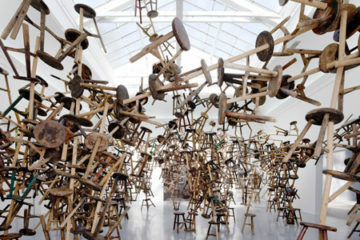 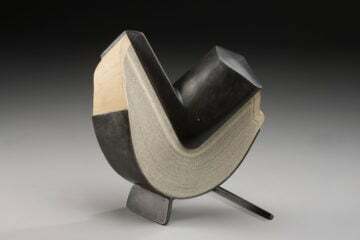 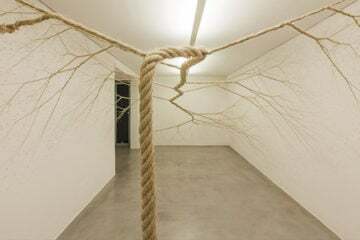 Visit the installation until May 12th in London.